To meet the ever-changing business requirements, organizations need to invest money and time to escalate their IT infrastructure, including hardware, software, and other services. When you rely on on-premises IT infrastructure, making such changes can be difficult and slow. On top of that, such organizations can still be unable to attain optimal use of their IT infrastructure. This is one of the various reasons why organizations are increasingly turning towards cloud computing. 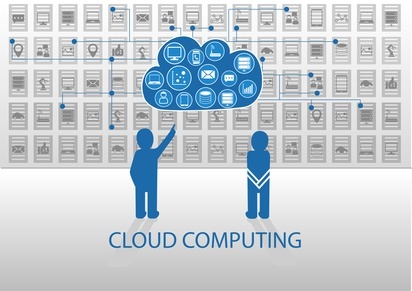 Cloud computing is a seismic shift in the way individuals and organizations compute. It is a service that offers computing services over the internet, consisting of highly optimised virtual data centers, that provide various software, hardware, and information resources. In public cloud, the IT infrastructure is owned and managed by a third party and used by other companies or individuals. In this cloud computing model, details of the underlying infrastructure are hidden from the consumer. Public cloud offers anything from simple personal storage to complex enterprise services. The computing model typically manages relatively repetitive or linear workloads such as electronic mail. It also has a price advantage as the same infrastructure is shared across many users, therefore, costing less than what users with their own cloud infrastructure have to fork out. In private cloud, the IT infrastructure is owned and managed by an organization and used by the organisation’s employees, partners, and customers. Private cloud can also be created and managed by a third party for the exclusive use of one enterprise. The private cloud environment has high security and is not for public use. Your information remains secure in your data center and can be accessed through the internet. A hybrid cloud is a combination of private and cloud computing. It gives you the best of both worlds. You can move some data to public cloud if it is not so critical for your business, or the cost of storing data in-house outweighs that of storing it in public cloud. Data that is critical to your business or makes it unique can be secured on the private cloud under layers of security. Organizations whether large or small are increasingly turning towards cloud computing as it allows them to deliver their online services with agility and speed while lowering expenditure on infrastructure and other cost variables. This model provides a cost-effective computing solution that balances security, reliability, and flexibility. To get maximum benefits from the services, it is necessary for organizations to partner reputed cloud service providers, such as i2k2 Networks Pvt. Ltd. We are a trusted IT company that provides a comprehensive folio of cloud services to many organizations in different verticals. To get answers to your questions regarding our enterprise solutions and how they can work for your business, request a callback, and our team will contact you, shortly. You can also call us at +91-120-466 3031 and our team will be happy to help you in every way possible.